Mens Chaco Z/2 Unaweep Sandals are comfortable even for those who cannot tolerate anything except mud or sand between their toes. These chaco mens sandals feature a wrap-around toe loop for total forefoot control. 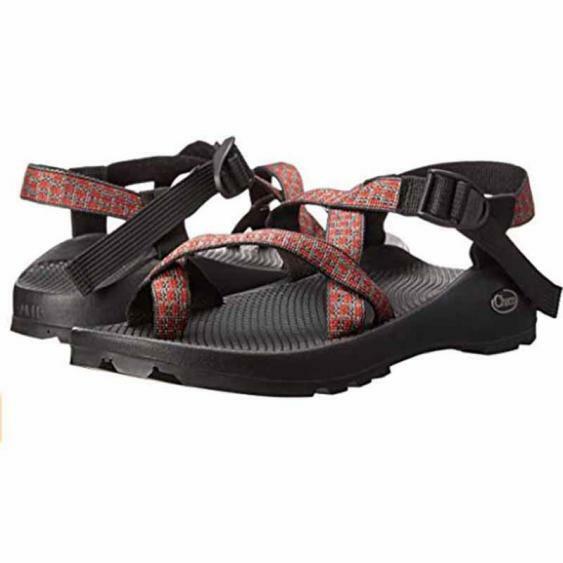 The soft polyester webbing of the Chaco Z/2 unaweep dries faster than nylon and helps the z/2 sandals maintain a consistent fit in all conditions. A sculpted heel riser provides stability for the back of your foot and greater comfort at the heel. The Chaco Biocentric footbed built into these mens sandals provides you with all day comfort and controls pronation. The soles of the Chaco Z/2 Unaweep sandals incorporate the most intelligent features from Chaco’s Colorado and Terreno soles. With Vibram durability, the Unaweep outsole is a great combination of slip resistance, traction and light weight. Lug pattern and spacing makes the soles of these mens sandals virtually self-cleaning. Mens Chaco Z/2 Unaweep Sandals are ideal for more demanding activities including canyoneering, trail running and approach hiking.